...Plus Bring Back the Natural Color and Surface Back to Life. 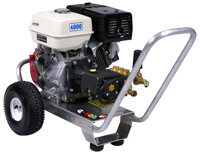 My dealership was in the market to purchase a skid type pressure washer. I located your company on the internet and found the washer that I thought I wanted. I still wasn't sure of what my company needed to purchase for our needs. I called your company and talked to David. 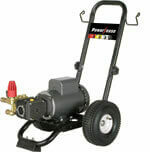 David was very helpful and set us up with the ideal pressure washer. We have since purchased a second one for our sister store. It was a smooth and educational transaction. Thank you. 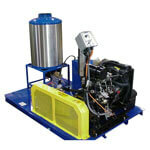 Ultimate Washer offers hot and cold water gas, diesel, hydraulic, air, and electric pressure washers. 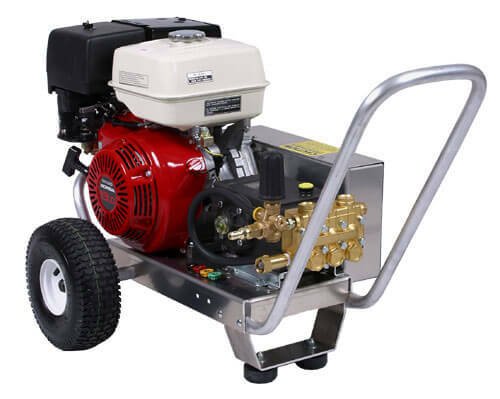 Choose from a wide selection of residential, commercial and industrial heavy duty power washer equipment for homeowners, automotive contractors, commercial and industrial users, and pressurewashing businesses. This is your one-stop online superstore and the place with advice and many valuable tips. 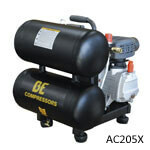 We will help you chose the right model to suit your particular needs. Telescoping wands and gutter cleaners are the new and inexpensive method for gutter cleaning and down spouts cleaning.